As early as the sixteenth century, Basque, Portuguese, Breton, and English vessels sailed to the banks off Newfoundland and Labrador to bring a bounty of fish back to the Old World, where cod and other species had already begun disappearing. Farther away to the south, Maine remained the domain of the native Wabanaki peoples, who harvested cod from coastal waters. Measurements of vertebrae found in archaeological sites demonstrate that the fish the Wabanaki caught were much larger than cod today. In the early 1600s, European explorers such as Captain John Smith, Samuel de Champlain, George Weymouth, and John Brereton reported on the great codfish and other species that occurred in unfathomable abundance along Maine shores and were much larger than fish found in the waters back home. These reports effectively triggered Maine’s first industry, much like John Cabot’s legendary reports over 100 years earlier had triggered the Newfoundland cod rush. New World cod populations presented an economic bonanza for European fish merchants who searched the world for species familiar to the western European palate. As Jeffrey Bolster explained in The Mortal Sea, unlike the exotic fish brought home from places as far away as the Philippines and beyond, the waters along Newfoundland and the Gulf of Maine provided species remarkably similar or in many cases identical to those already fished out in Europe. And so large-scale fishing off New England’s coast began, with cod the central target. For the next century and a half, fishing stations, such as those established at Monhegan and Richmond Islands before 1630, helped foster European settlement in the Northwest Atlantic region. The size of vessels determined where colonists fished: larger vessels headed offshore to the banks, smaller boats concentrating on the inshore grounds. The proximity to flake sites also determined where colonists fished and even settled: larger vessels anchored in protected harbors and fished on inshore grounds from smaller boats, bringing their catch into shore to be dressed and laid on flakes to dry in the sun. For nearly all New England boats and vessels, the share system came into common use during this time. Expenses for vessel supplies, repair and equipment, and profits generated by the harvest were shared in portions determined by agreement among the owners, the captain, and the crew. These fishing practices and the patterns of settlement associated with them continued until the American Revolution, when many vessels left fishing and were engaged in the war effort as privateers. Once America gained its independence, the new government began the first of what would become a long history of fisheries subsidies intended to grow the industry in the new Union. Because subsidies were based on vessel size and not catch, nearshore fishermen who operated small vessels less than 20 tons received little bounty and relied more on income generated by their catch, whereas the offshore fishermen, operating vessels larger than 20 tons, received much greater proportional income from their bounty payment (Alexander 2009). In effect, the bounty helped concentrate the offshore industry among fewer operators in larger cities who could afford the expenses of large vessels. Cod was an ideal fish to preserve with salt, and indeed about 83% of cod was prepared by drying and curing with salt. Salt cod could be distributed overseas and far inland, and might last for a year or more if kept dry. Those who fished the offshore banks might land on rocky shores to cure their fish and then bring them directly to foreign ports. Or they processed “kenched fish” (also called slack salted, hard, or dried fish) aboard their vessel. A “dressing gang” on a Grand Banks vessel consisted of a “throater,” a “gutter,” and a ‘‘ splitter.” The throater cut the fish down the belly and removed the head and passed the fish to the gutter, who removed the internal organs, saving the liver but throwing the rest overboard. The fish then passed to the splitter, who, with a slightly curved blade, split the fish and removed the backbone. The fish was then rinsed in clean seawater, drained, salted, and piled in the hold head to tail, head to tail, spread flat. The first layer was put in skin down and struck with salt, the second layer, skin up and struck with salt, the third skin down, and so on. This prevented the flesh of one layer from being contaminated by the skin of the adjoining layer, and the flesh of two layers from being stuck together (Ames 2013). Pressure from the weight of the layers of fish squeezed out moisture and began a drying process that was completed on shore. 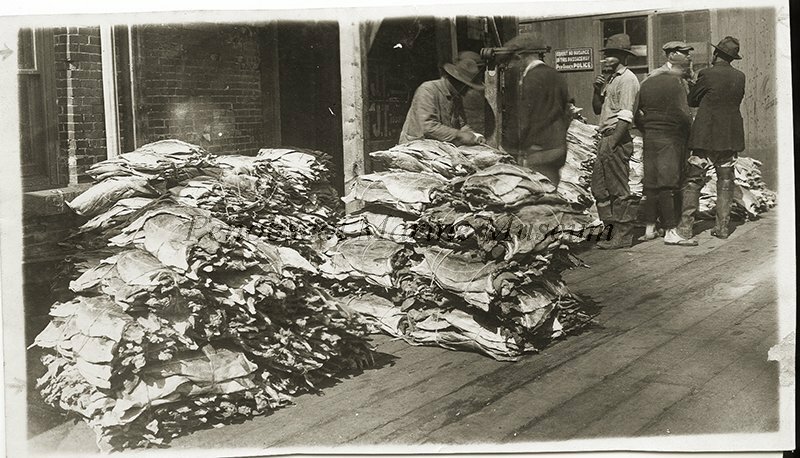 Once the fish were on shore and the moisture was squeezed out, they were rinsed in salt water and laid out on flakes for air drying, with canvas covers to prevent sun burn and boxes to cover them in inclement weather. After the Revolutionary War, many Maine fishermen brought their catch home to be prepared at fish houses and flake yards by regular fish-curers. Each local area seemed to have its own processes and names, and there were many grades of cod. “Stockfish” originally referred to unsalted, air-dried fish but eventually was extended to salted fish. “Ling,” the name of a European relative of cod, also was used to denote salt cod. 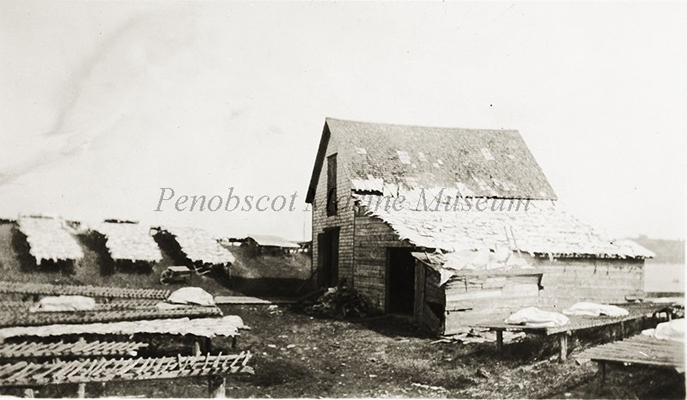 “Dunfish,” a name given to cod caught by eastern Maine and Bay of Fundy small-boat fishermen, were quickly dried, slightly salted, and sometimes cured in dark rooms for two or three months, covered with salt hay or eelgrass and pressed with weights. Dunfish had a reddish color, distinctive flavor and consistency. Kench curing used more salt than dunfish, but less than pickled ‘green’ cod, which were submerged in casks full of brine. 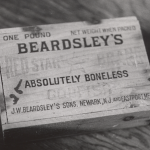 Cod were also sold as skinless boneless bricks (Stevenson 1899, Oliver 1995). Downeast families had the pick of the best fresh and salted cod. Processors divided the rest of the salt fish into two general categories: merchantable and refuse. The refuse grade was sent to the Southern U.S. and West Indies to feed slaves on plantations (Oliver 1995). Merchantable salt fish were bound for Portugal, Italy, France, and Spain, predominantly Catholic countries whose appetite for fish was growing due to the increasing number of meat-free days imposed by the church. Trade routes expanded. Data from 1840 to 1865 indicate that the two islands of Cuba and Haiti were by far the leading overseas markets, and that the West Indies, in general, dominated United States fish exports throughout the period. 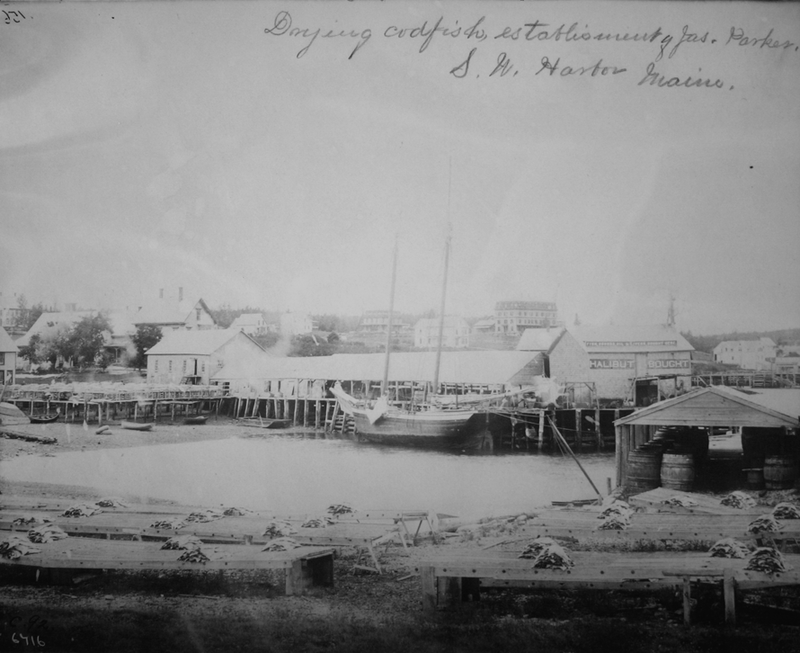 Salted cod was transported to New Orleans by vessels from Castine. The same vessels picked up loads of cotton destined for Europe, and carried salt home from Liverpool (O’Leary 1996). Maine’s inshore fleet flourished in small bays, peninsulas and islands, but the offshore fleet was small compared to places like Boston. In 1819, the cod bounty rate structure changed, increasing payments to Maine fishermen and stimulating a cod industry. From 1820, when Maine gained independence from the Commonwealth of Massachusetts, to 1857, Maine received 40 percent of all the national bounty money (O’Leary 1996). 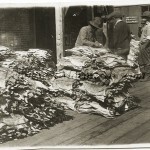 Maine had become a major producer of fish, both in tonnage and in number of fishing establishments along the Atlantic seaboard. This period also saw the early signs of important changes in fishing methods. Vessels began to expand their range by dispatching dories. Each dory used the traditional method of dropping baited lines over the side of the boat by hand, but the volume of fish harvested increased dramatically. Trawling (like today’s long-lining where multiple hooks are hanging off a central line) came into practice in the late 1850s and seining (encircling a school of fish with a net) was occasionally employed for small fish or bait. In response to a growing market for fresh fish, ice harvested from local ponds carried in the holds of schooners ushered in alternatives to age-old salting and smoking methods. By today’s standards, the volume of fish harvested in the nineteenth century is nothing short of astounding. Most of the towns participating in the Grand Banks cod fishery were east of Rockland, with trips lasting three to five months. Logbooks show that cod fishing was carried out by the Downeast Customs Districts of Penobscot-Castine, Frenchman Bay, and Machias. For a long period in the 1800s, Maine led the nation in cod harvest, with Hancock County accounting for close to half of the state’s fishing tonnage (O’Leary 1996), and most of that coming from the Frenchman Bay region. 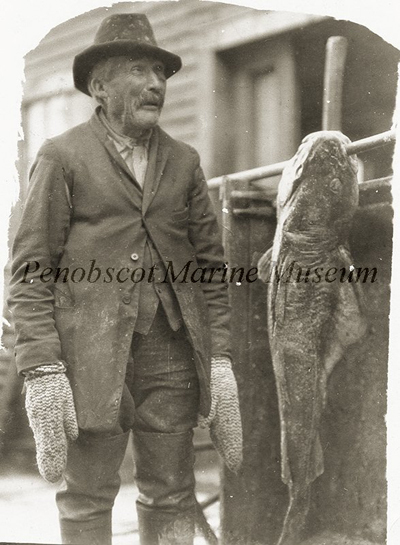 Frenchman Bay vessels caught most of their cod on shore grounds between Penobscot Bay and Grand Manan, landing in 1861 nearly three times the cod volume landed in 2007 in the entire Gulf of Maine (Alexander 2009). The Mount Desert Island region sent shipments of fish and cobblestones to Boston in exchange for dry goods and for flour and sugar. Cod, as well as herring and fish oil were exported from Cranberry Island. 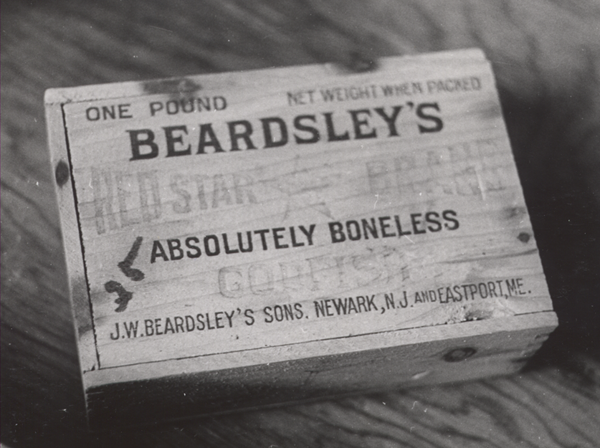 Bucksport and Orland also supplied Boston with an average of 20,000 quintals of dried cod annually throughout the 1850s (O’Leary 1996). And Bucksport was also a principal supplier of alewives, shad, herring, mackerel and salmon (Alexander, 2013). The end of the Civil War triggered the decline for Maine’s cod fishery. When federal subsidies were repealed, the number of smaller sized vessels declined significantly. At the same time, large merchant firms had emerged and were able to increase their catch by capitalizing on technological advances (see below). By the 1880s, the larger vessels were catching in two days what had taken a week to catch before the Civil War (O’Leary 1996, Bolster 2012). The modernization of fishing methods that had started in the mid-1800s accelerated the decline in cod populations towards the end of the century. Hand-lining along the rail of the schooners was by now almost completely replaced with hand-lining and tub trawling (long-lining) from dories. The trawl, a single multi-hooked line, allowed each individual fisherman to multiply his catch by expanding the number of hooks and fishing a wider area (Jackson et al. 2011). Trawl lines (introduced in America by Irish immigrants) were not worked or ‘jigged’ by hand, but were instead baited, weighted to sink to the ocean floor, marked by buoys, and allowed to set for a time before dorymen hauled them in. Thus they not only caught bigger fish, but more fish in less time. In eastern Maine, cod landings, averaged 40-50,000 in the 1880s, mostly caught by large fishing companies using trawling vessels on inshore grounds (O’Leary 1996). For bait, fishermen used fresh clams, herring, or menhaden when they were available, and salt clams or pickled herring otherwise (Alexander 2009). Demand for fresh bait skyrocketed (Jackson et al. 2011). In contrast, fishermen who owned small boats, and were unable or unwilling to invest in the new technology, had to venture farther and farther from the coast to find fish (O’Leary 1996). Between industrial fishing methods offshore and declining forage species inshore, small-scale fishermen were losing access to fish and started to demand legislation that would protect their interests. Their efforts largely failed. By the end of the nineteenth century, several other factors conspired to further Maine’s decline as a national leader in the cod fishery. The first of these factors was the appearance of new domestic competitors in the South (where the need for New England fish products had been eliminated by the end of slavery with the Civil War), the Great Lakes region, and the Pacific Northwest. As Maine’s cod fisheries declined, more and more fishermen shifted to the herring and lobster fisheries. Another factor was the change in eating habits in the U.S. People increasingly chose fresh fish over dried and salted fish and often replaced fish with meat. At the same time, the development of refrigerators and iceboxes, as well as the railroad system, all facilitated the transport of both meat and fresh fish, thereby further diminishing the demand for dried and salted fish. Maine was very slow to adopt these technological advancements, and fell behind Massachusetts. There, businessmen quickly responded to the fresh fish demand with the introduction of layered, crushed ice preservation techniques. And, Boston was also a central hub of the railroad system (O’Leary 1996). All these factors combined to bring dramatic changes to Maine’s status as a major cod producer. However, Maine’s small boat inshore fishery did survive with some important changes. Fishermen who had formerly sold their fish dried and salted now sold them fresh to merchants, and it was the merchants who pickled, froze, canned or even still salted them before forwarding them to distributors in Gloucester, Boston or New York. Larger buyers in Maine increasingly concentrated in Portland, where they had access to same-day rail shipping in refrigerated cars. Though the catching, processing, and selling practices had dramatically changed, codfishing would continue to serve as a major source of income and food for another century. In the early 1900s, sail and hand powered vessels such schooners and dories still carried out almost all coastal fisheries. This was the case until the 1930s, when first steam and eventually diesel engines (after World War II) both dramatically increased the maneuverability and power of fishing vessels. Technological developments in the fishery included the advent of the bottom trawl and otter trawl, both of which required powered vessels and substantially increased the potential catch. Refrigeration, improved cold storage, and the growth in land transportation, dominated by railroads and the highways system, all contributed to massive changes in the fishery. By mid-1900s, market demand had almost completely switched to refrigerated or frozen fish, and fishing and processing followed suit. Though fishing vessels increasingly diversified their target species (for example, haddock and redfish became popular), the cod population was showing grave signs of decline. By the 1940s, it is quite possible that some major cod spawning runs in the Gulf of Maine where already fished out, perhaps irreparably (though scientists and historians of marine ecology would not fully recognize this possibility until more than fifty years later). 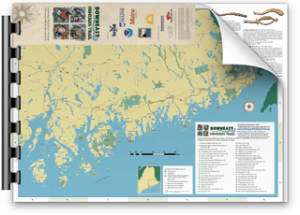 In a landmark study conducted in the 1990s, Ted Ames, co-founder of Penobscot East Resource Center and long-time fisherman, interviewed a number of highly successful and experienced old-time fishermen to attempt to map historical cod spawning grounds before it was too late. Ames’ results shed some light on the places where cod spawned and were harvested throughout the 1900s. Locations of spawning grounds for cod were mapped from Grand Manan Channel to Monhegan. Most of these spawning areas were inshore from the fishing grounds. During spawning runs, coastal populations of Gulf of Maine cod, composed of larger fish, moved into Machias, Frenchman, and Penobscot bays (Ames 1997), providing good catches for local communities. Ames’ conversations with fishermen also revealed variations in the movements of spawning cod. Fish arrived in March from Schoodic Point to Penobscot Bay, and in April farther Downeast. Cod also migrated farther inshore as the season progressed, with local aggregations likely representing multiple populations of fish. Local resident stocks spawned inshore but spent the remainder of the year in nearby deeper waters such as Jordan Basin, and another migratory stock moved from west to east in the early summer (Ames 2000). Prior to World War II, these resident cod populations supported a substantial winter fishery in the channels and basins bordering the entire length of Maine’s coast. As the inshore spawning areas were fished out, fishermen moved offshore in order to keep fishing. With no spawning population, minimal immigration, and no outside source of eggs, nursery habitats quickly emptied, and cod disappeared from the local area (Ames 1997). By the 1960s, foreign vessels began targeting the waters of the Northwest Atlantic. This fleet of “factory trawlers” processed and froze the catch at sea, sometimes staying out for months at a time before returning to their homeport. At the same time, Maine’s fleet was fishing a scant 50 miles from shore. Fishing pressure on all fronts was so massive that spawning stocks and possibly their habitat was likely mostly destroyed by the 1970s and ‘80s (Ames 2000). Scientists and fishermen both started to notice that the cod were getting smaller and less abundant. The Magnuson-Stevens Act of 1976 was intended to conserve and manage U.S. fisheries and to phase out foreign fishing activities from U.S. waters, inside a 200-mile perimeter. The foreign fleet now banished, U.S.- based trawler technology picked up the slack on industrial offshore fishing. Though the revenue stayed within the U.S., the cod population experienced little respite. Alexander, K. E., and W. Leavenworth. 2010. “Cranberry Isles fishermen in the 1860s,” presentation at Cranberry Isles, Maine. Alexander, K.E. et al. 2009. Gulf of Maine cod in 1861: historical analysis of fishery logbooks, with ecosystem implications. Fish and Fisheries 10:428-449. Ames, E.P. 1997. Cod and Haddock Spawning Grounds in the Gulf of Maine. Rockland, ME: Island Institute. Ames, E., S. Watson, and J. Wilson. 2000. Rethinking overfishing: insights from oral histories with retired groundfishermen, pp. 153-164 in Finding our seas legs: linking fishing people and their knowledge with science and management (Neis, B. and L. Felt, eds.) St. John’s, NL: Institute of Social and Economic Research. Ames, E.P. 2004. Atlantic cod structure in the Gulf of Maine. Fisheries 29:10-28. Baird, S.F. 1873. United States Commission of Fish and Fisheries Part II Report of the Commissioner for 1872 and 1873. Washington, DC: U.S. Government Printing Office. Baker, P. 2011. Remembering Cod. Pew Environmental Group. Bolster, J.W. 2012. The Mortal Sea: Fishing the Atlantic in the Age of Sail. Cambridge, MA: Harvard University Press. Graham, H.W. 1970. Management of the groundfisheries of the Northwest Atlantic, in A Century of Fisheries in North America (Norman G. Benson, ed. ), American Fisheries Society Special Publications No. 7. Washington D.C.
Jackson, J.B.C., K.E. Alexander, and E. Sala, editors. 2011. Shifting Baselines: The Past and the Future of Ocean Fisheries. Washington, DC: Island Press. Leavenworth, W. 2006. Opening Pandora’s Box: tradition, competition and technology on the Scotian Shelf, 1852-1860, in The North Atlantic Fisheries: Supply, Marketing and Consumption 1560-1990 (David J. Starkey and Jame E. Candow, eds.). Hull, UK: North Atlantic Fisheries History Association. Lunt, D.L. 1999. Hauling by Hand, the Life and Times of a Maine Island. Frenchboro, ME: Islandport Press. Murawski, S.A. Brief History of the Groundfishing Industry of New England, Part 1. Woods Hole, MA: Northeast Fisheries Science Center. Murawski, S.A., et al. 1998. New England Groundfish. Woods Hole, MA: Northeast Fisheries Science Center. O’Leary, W.M. 1996. 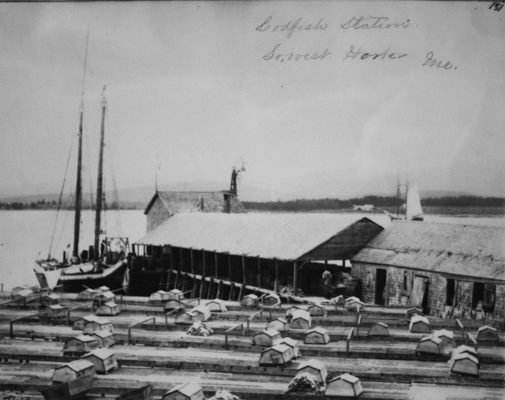 Maine Sea Fisheries, The Rise and Fall of a Native Industry, 1830-1890. Boston: Northeastern University Press. Stevenson, C.H. 1899. The preservation of fishery products for food. Bulletin of the United States Fish Commission Vol. 18 (1898):335-563.